Who doesn’t like to save a little dough on texting? Well for those with limited texting plans anyway. 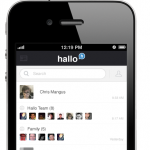 The Hallo app from Developer Hallo, Inc. will allow you to do just that and much more. Compatible with the iOS and Android Hallo allows you to send quick voice messages privately to individuals and groups or publicly to followers within the app as well as to Facebook and Twitter. 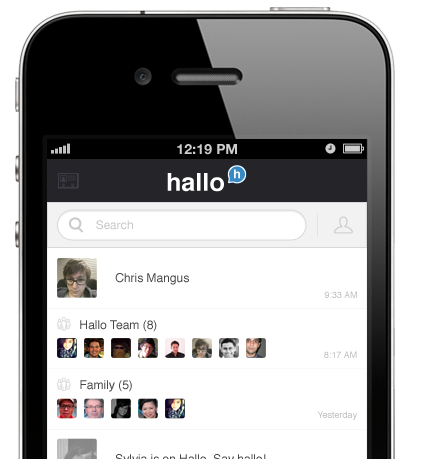 Hallo has a great clean and simple user interface. Allowing it to pretty much be self-explanatory. Giving the user ability to solely focus on recording and sending out their message. Just tap ‘say Hallo’, record your message and send it instantly. Hallo social platform is nothing to snicker at. Although most people expect new applications like these to have some sort of in app social network of their own a lot fail short and most tend to fall back to simply Twitter or Facebook. Voice has more of an emotional connection then simply text. Having Steve Nash @ reply you on twitter is nice but to actually have him say Hallo would be amazing. For those folks out there who are looking for a new community to amass a following, Hallo’s social platform will not disappoint. A growing community and already a good mix of celebrities, comedians, athletes and have been downloaded in over 100 countries, Hallo could have a niche that needs filling. 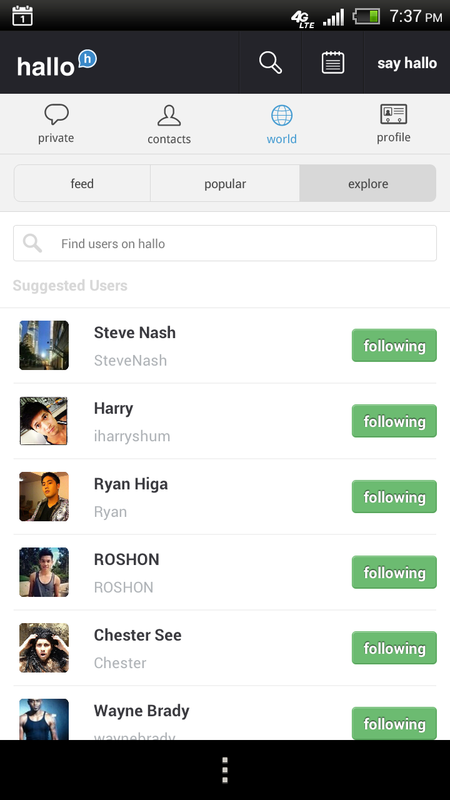 The app is completely free and unlike a lot of other free apps Hallo does not have any advertisements. So no worrying you are accidentally going to tap that annoying ad when trying to hit send. Appealing to a wide range of audiences, from those looking for an alternative to texting and be a bit more personal to those looking for a new community of active users, Hallo is worth a look. Not to say it doesn’t have its downfalls like being able to possibly email your Hallo message to those who may not have the app or a smartphone. 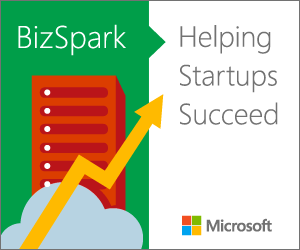 Its a very young app and I suspect will be doing a lot of growing over the next few month. Give it a go and get it in the iTunes store or on Android in Google Play and let us know what you think. 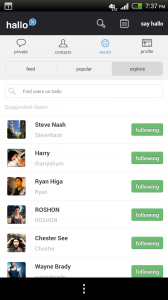 Oh and don’t forget to follow TechZulu/Efren/KyleEllicott/Acoolong/DeniseWalker within the app.